Periodically I write posts about ways to market your novel. One strategy is to do presentations. 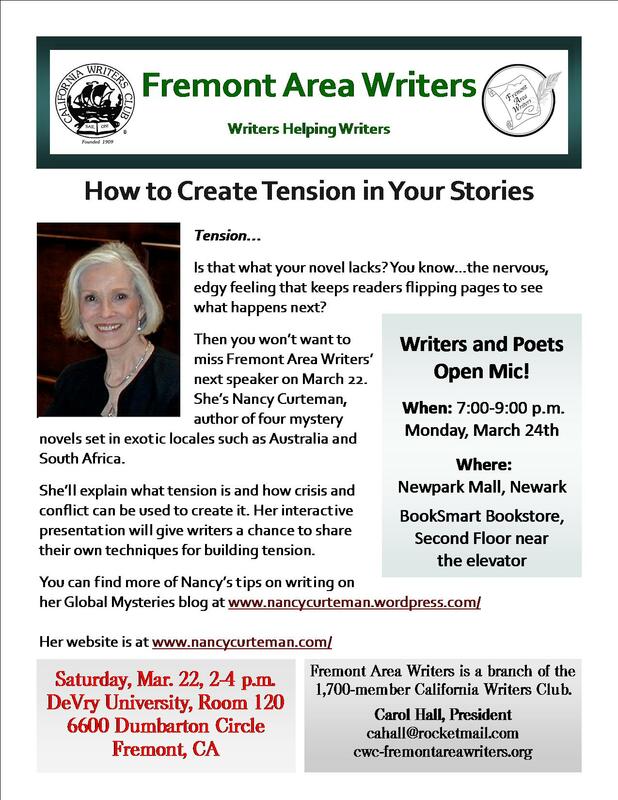 Here is an example of an upcoming presentation I plan to do for a branch of the California Writers’ Club. I will bring along a few copies of my novel to sign and sell to interested participants. Presentations and book events also get your name out to book lovers. Excellent flyer, NC! Hope the presentation is FUN for you and the audience. I suspect that it will be. Marketing isn’t my favorite activity, but I do love doing book events and presentations. Thanks NH, you like your blog, are so encouraging.